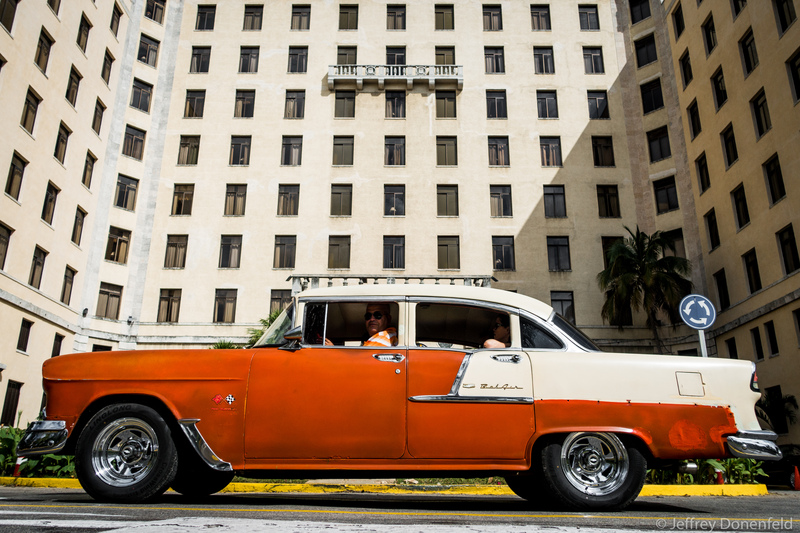 A taxi picks up passengers outside of the Hotel Nacional, Havana, Cuba. From Wikipedia: The Hotel Nacional de Cuba is a historic luxury hotel located on the Malecón in the middle of Vedado, Havana, Cuba. It stands on Taganana hill a few metres from the sea, and offers a view of Havana Harbour, the seawall and the city.